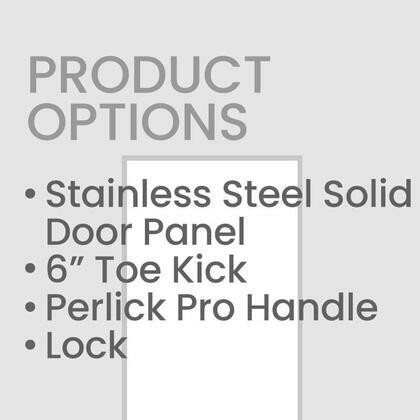 I was leery in getting this Perlick refrigerator with so many options since I'd bought something similar from another brand and things kept breaking. A year later, everything works perfectly and I absolutely love this fridge. My wife and I like to prepare several meals for the week in advance so when we saw the huge storage capacity in this Perlick refrigerator, we were intrigued. Paired with huge savings on AppliancesConnection.com, we are very satisfied with our purchase! Can you fit an entire Thanksgiving meal including a 15 pound turkey, a spiral ham, and enough sides for twelve people in your refrigerator? I can. I know because I have. Wouldn't trade my Perlick fridge for any other. After having to endure a fridge in its last functional months, my new Perlick refrigerator is an absolute dream. Easy setup, great design, and we love having a cold water dispenser! My wife loves the nearly seamless design of our new Perlick fridge. Blends in perfectly with our existing kitchen cabinetry so that’s a plus!